A Continual Feast: "Gilbert Blythe would stand on his head for me"
Last night, having spent the morning getting a small hole cut in my back - just over my shoulder blade - and then stitched up, I was taking it easy on the couch. 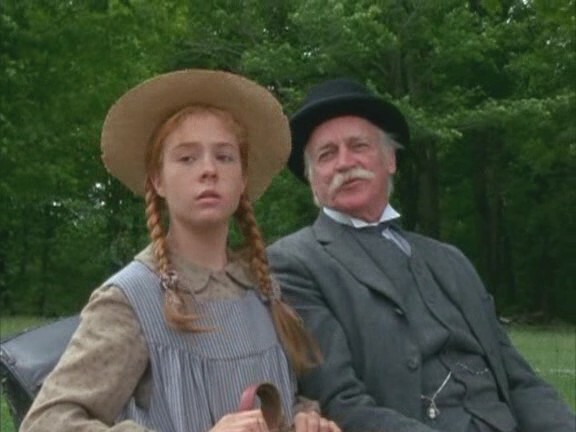 Nathan, full of sympathy, put on 'Anne of Green Gables: The Continuing Story,' which had recently arrived from Netflix. I hadn't seen the most recent installment, and while I didn't hold hopes of it comparing to 'Anne of Green Gables' or 'Anne of Avonlea,' I was curious enough to want to watch it, and Nathan indulged me. 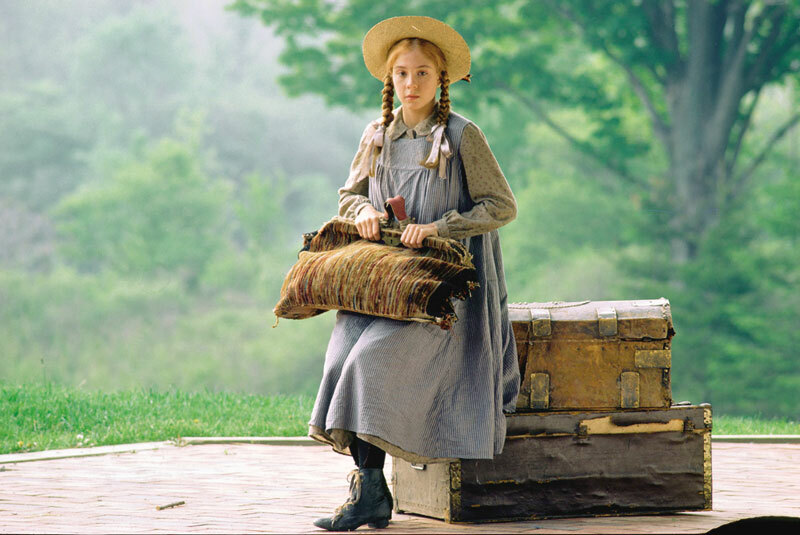 "Anne Shirley. Anne with an 'E'." "You don't want me? You don't want me because I'm not a boy?" "This is the most tragical thing that has ever happened to me!" 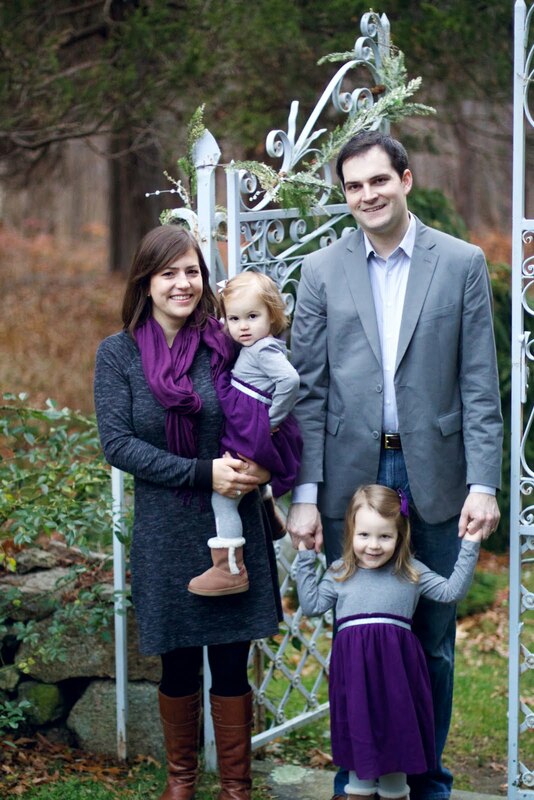 "She could talk the hind leg off a mule." "What color would you call this?" "Red. That's why I can't ever be perfectly happy." And in a broken voice: "He called me carrots!" "Anne Shirley. What in heck are you doing here?" "The puffiest in the world." "I'm afraid for her, Matthew. She'll be gone so long. She'll get terrible lonesome." "You mean we'll get terrible lonesome." "Why do people have to grow up and marry, change?" "Oh, you'd change. If someone ever admitted that they were head over heels for you, you'd be swept off your feet in a moment." "I would not, and I defy anyone who would try and make me change." And with a smirk and a laugh - "You do." And then Anne says, "He loves me?" And Marilla says, "Because you made Josie Pye and Ruby Gillis and all those wishy-washy young ladies who waltzed by him look like spineless nothings." "...Don't toss it away for some ridiculous ideal that doesn't exist." "Anne, there's not going to be any wedding anymore... I called it off. It wouldn't have been fair to Christine. There will never be anyone for me but you." And then - and here my voice got a bit teary - "It will be three years before I finish medical school, and even then there won't be any diamond sunbursts or marble halls..." "I don't want sunbursts or marble halls. I just want you." After my summary of quotes, Nathan sighed with resignation and started the DVD with the ominous words, "No good can come of this!" He watched the whole movie with me, but I'm not sure how much help either my summary or the film itself was to him, the uninitiated, since a few minutes before the end of the movie Nathan asked, "Wait, who's Gilbert?" New Yorkers are definitely awful. But don't worry - I'd be very happy to find a real person. That seems to be the problem, actually! Melodee, to be honest I didn't care for 'The Continuing Story' much at all!! Have you seen it, and if so, what did you think? I think Anne of Avonlea was always called "The Sequel" in Canada, where it was made...they must have just decided to go for consistency with the DVD releases.